Portable solid-state drives have been around for years but they’ve only recently come down in price to the point of serious consideration (depending on capacity, of course). The latest from Samsung looks to be a doozy. 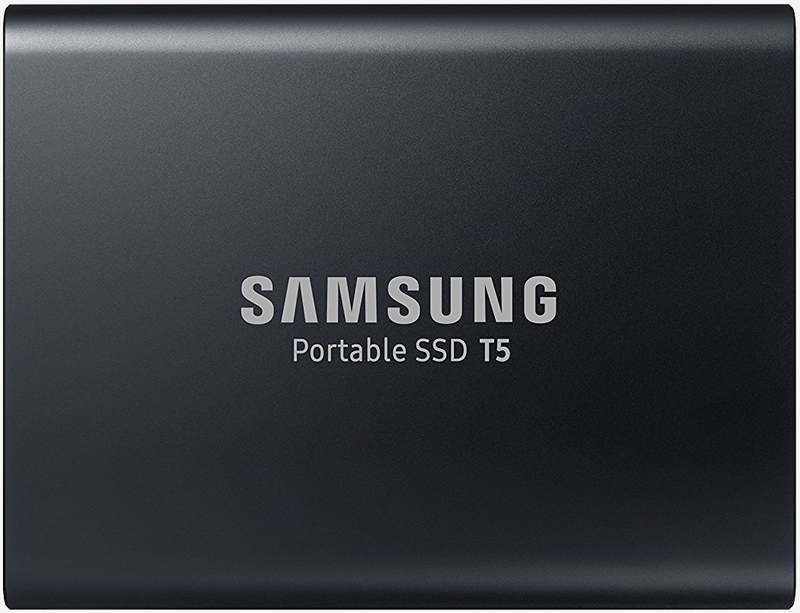 The Portable SSD T5 features Samsung’s V-NAND flash memory and a USB 3.1 Gen 2 interface which allow it to offer transfer speeds of up to 540 MB/s (with UASP mode enabled). It’s quite compact with measurements of 74 x 57.3 x 10.5 mm (W x H x D) at a weight of just 51 grams. Thanks to its shock-resistant internal frame and aluminum exterior, the drive can withstand drops from a height of up to 6.6 feet. The T5 also includes password protection software based on AES 256-bit hardware encryption and ships with two cable styles – USB Type-C to Type-C and USB Type-C to Type-A – for added compatibility. Samsung’s T5 will be offered in capacities of 250GB and 500GB in “alluring blue” as well as 1TB and 2TB sizes in a “deep black” color scheme. Pricing starts at $129.99 for the 250GB model and scales up from there. Expect to pay around $199.99 for the 500GB version, $399.99 for the 1TB model and $799.99 for the 2TB unit. All drives will come backed by a three-year warranty with availability varying between models. The smaller-capacity drives are in stock now while the more spacious models won’t ship for another month or two according to Amazon.